Sevak Zargarian was shortlisted for the Homes & Gardens 'Young Designer' Award 2015 with the Unearthed Collection. A collection of porcelain household objects and vessels, launched at One Year On at New Designers 2014. 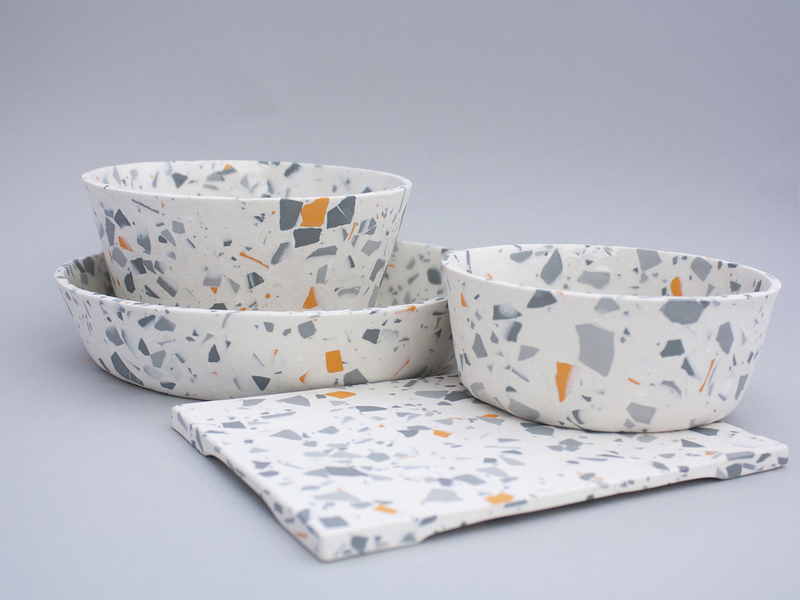 The surface pattern is made up of small pieces of coloured porcelain that are dispersed throughout the body of the objects, which are then sanded and polished to create a tactile surface.